Charlotte Bunch, Founding Director of the Center for Women’s Global Leadership (CWGL), Rutgers University, has been an activist, writer and organizer in feminist, LGBT, and human rights movements for over 4 decades. 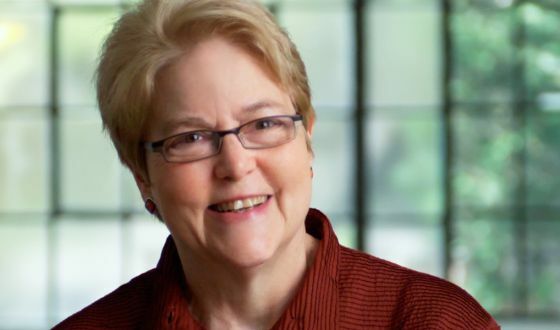 A Distinguished Professor in Women’s and Gender Studies, Bunch was previously a Fellow at the Institute for Policy Studies in DC, where she was one of the founders of Washington DC Women’s Liberation in 1968 and of The Furies lesbian Feminist Collective in 1971. She has been active in social movements nationally and globally, including on the Board of the National Lesbian and Gay Task Force in the 1970’s where she was part of the first LGBT delegation to the White House and led the lesbian visibility project for the National Women’s Conference in Houston in 1977. Since the 1980’s, she has been on the boards of numerous organizations such as the Ms Foundation for Women, the Global Fund for Women, the Association for Women’s Rights in Development (AWID), and the Urgent Action Fund for Women’s Human Rights. She has been involved in many civil society efforts at the UN, including coordinating the “Global Campaign for Women’s rights as Human rights” and for the creation of UN Women. Her awards include induction into the National Women’s Hall of Fame, the White House Eleanor Roosevelt Award for Human Rights, and being one the “1000 Women Peace Makers” nominated for the Nobel Peace Prize. She has written numerous influential essays, edited nine anthologies and authored Passionate Politics: Feminist Theory in Action and Demanding Accountability: The Global Campaign and Vienna Tribunal for Women’s Human Rights. Book your cabin with the promo code CHARLOTTE2019 and receive a $100 per person cabin discount for you!